While DVD, Blu-Ray and digital downloads might dominate the at-home entertainment industry, these retro VHS creations help reminisce of simpler entertainment days. Many of the items you'll find here make use of the primitive tapes by unravelling the inner reel for creating such items as purses, clothing and, more suitably, elaborate art installations. 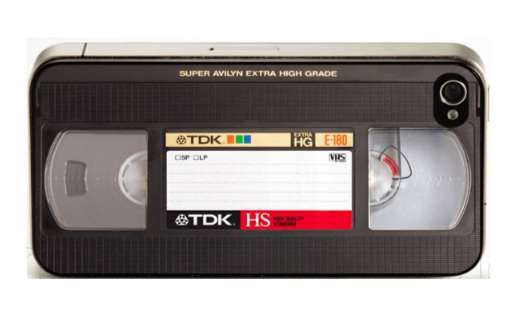 There seems to be a fascination with the retro VHS tapes because even new technlogical breakthroughs can't help but attract the old school entertainment pieces. Take for example the VHS laptop case that looks like shelf worth of the clunky tapes or the iPhone case that turns your phone into a mini cassette. While some of you might not remember the eclectic technology, it'll still be fun to take a look back at these complex, yet now primitive, creations.